Frasers Logistics & Industrial Trust (FLT)'s 4Q17 DPU of 1.77 Scts is 8.6% above IPO forecasts. Strong earnings visibility with only 2.5% of revenues to be renewed in FY18F. Visible acquisition pipeline of 14 properties in Australia with possible expansion into Europe in the medium term. We maintain our BUY call, with TP revised to S$1.18 as we roll forward our valuation. 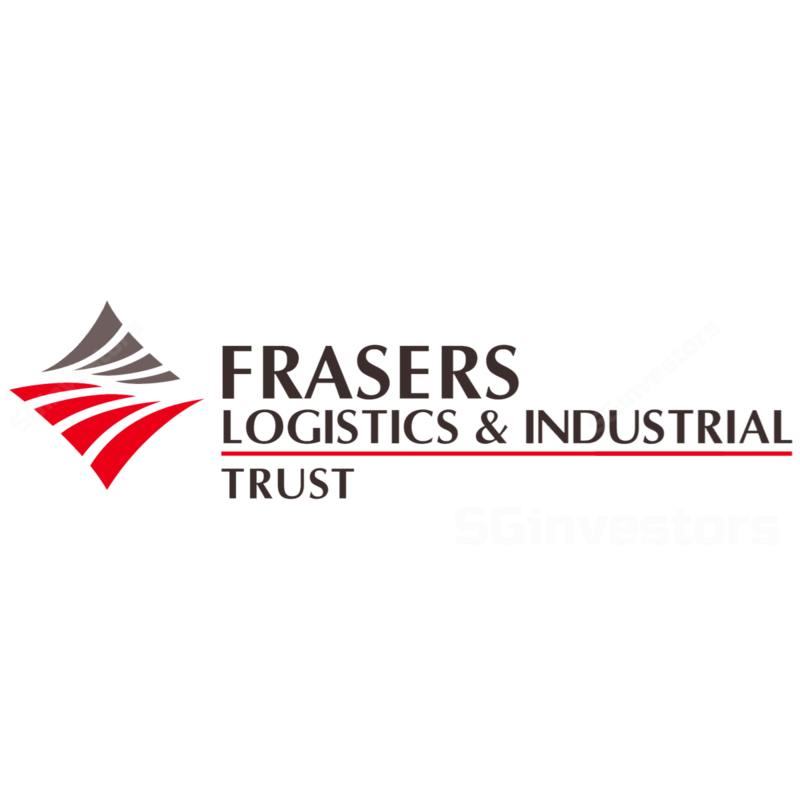 We like Frasers Logistics & Industrial Trust (FLT) for an expected 14% 12-month total return underpinned by a growing distribution yield. With an under-geared balance sheet, FLT has the ability to surprise on the upside through acquisitions, if executed from a myriad of opportunities available from its Sponsor. Where we differ. Conservative estimates but with a street high TP of S$1.18. Our estimates are more conservative to account for potential cut in payout ratio in FY18F in order to fund ongoing capex, a conservative strategy. That said, our TP is one of the highest, as we believe that the street has yet to fully reflect the resilience of the portfolio and ample growth from acquisitions from Sponsor (14 properties in Australia and potentially more in Europe). Gearing of close to 30% empowers the REIT to acquire. 4Q17 DPU of 1.77 Scts was 8.6% above IPO forecasts, driven by acquisitions and interest savings. Looking ahead, FLT has forward renewed most of its expiring leases and has only 2.5% of income to be renewed in FY18F, implying that visibility is high. After rolling forward our valuation, we raised our DCF-based TP to S$1.18 from S$1.15. Currency risk. As the manager pays its distributions in SGD but earns in AUD, the REIT is exposed to currency fluctuations. The manager attempts to reduce foreign fluctuations by hedging distributions regularly. Gross revenues and adjusted net property income came in 4.8% and 4.7% higher than IPO forecast at A$42.2m and A$32.3m respectively. This was mainly due to the contribution from acquisition of four properties completed on 1 August 2017 and the recovery of an insurance claim. Distributable income came in 12.1% higher, mainly boosted by interest savings achieved of 2.8% vs 3.4% assumed. DPU of 1.77 Scts is 8.6% above forecasts. For the year of listing (20 June 2016 – 30 September 2017), FLT reported a DPU of 8.85 Scts. FLT's valuation increased by c.1.9% y-o-y to A$1,911m as of 30 September 2017, mainly driven by a 16-basis point (bp) drop in cap rates to 6.71% (vs 6.87% previously). The REIT’s properties in Victoria (6.91% vs 7.01%) , New South Wales (6.5% vs 6.74%) and Queensland (6.36% vs 6.53%) saw compression of between 9 bps and 24 bps. This was somewhat offset by an increase in cap rates in South Australia (9.39% vs 8.73%) and West Australia (11.42% vs 11.75%). FLT renewed 31,947 sqm of leases this quarter at an average negative rental reversion of c. 15.9% (vs 8.2% for FY17F). The REIT forward renewed a few leases but the decline was mainly due to a renewal with DHL Global at Melbourne Airport where rental expiry level was above market. That lease was extended by another 7 years to 2026. Portfolio WALE is now extended to 6.75 years. FLT has minimal leases up for renewal with only 2.5% of revenues expiring in FY18F, implying that cashflows are fairly visible. FLT continues to have a visible pipeline of properties to acquire from the Sponsor. As of 30 September, the Sponsor had a further 14 properties in Australia and a potential 25 properties in Europe that FLT could acquire in the medium term. Low gearing of 29.3% facilitates any potential debt- funded opportunities in the medium term.